Does anyone have one, thoughts? I got a Marantz streamer but did not like it for various reasons and sent it back. It sounded great but it was lacking compared to my Aries Mini. Tophat has one. He really likes it. The DAC in it sounds as good as my PS Audio Stellar Pre. I use it with Tidal, a local usb thumb drive with all kinds of hi-res files on it (DSD, WAV, FLAC etc), Internet radio (320k and up), Chromecast (SoundCloud from the phone) and also as a Sonos connection. It’s very versatile and has a plethora of inputs. I have a universal remote (Harmony) so I have not used the remote much but it’s heavy and sturdy. The unit looks sleek in a rack but unfortunately I have to stack in my current setup. XLR’s connect it to the PS Audio pre. And I swapped the power cable for a Zu Audio one. The app is pretty good. Only crashes every now and then. Has the ability to control most all of the unit sans internal settings. Tidal’s interface is simple but effective. 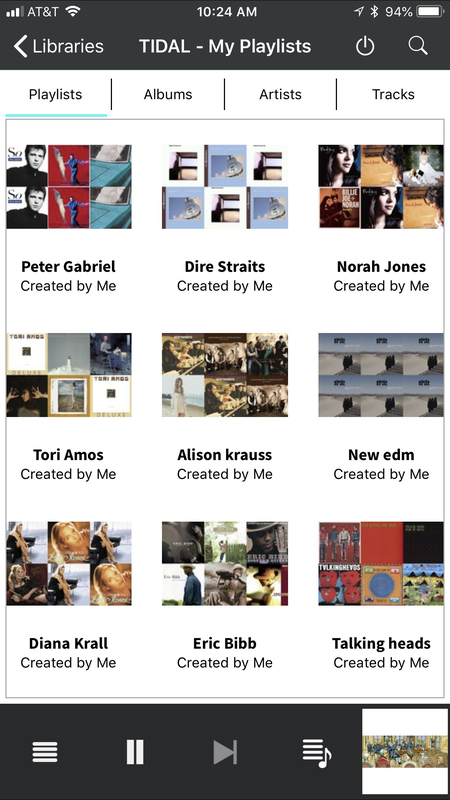 You can also search for internet radio through the app, and of course search for drives in your network or connected locally. @joecoulson Have you tried WMA lossless files? No. Have not tried just because I don’t have any. I typically use DSD, WAV or FLAC only for hi res. And I believe our very own @DSkip is about to become a CA dealer. My Google-Fu is failing me, is there an easy way to disable/defeat the built in volume control, so that it isn't getting in the way of the signal? I have a CXN and like it a lot. It streams from my NAS flawlessly. I also use the digital out from the Denon DCD-1560 into the CXN. The DACs are better in it and as an added bonus, I can use the CXN volume control! When I'm not being lazy, you can bypass the volume control for a cleaner signal. I picked up the CXN v2 yesterday and I am VERY happy with this purchase so far. Yesterday at Skip's we used it with Tidal and compared the internal DAC to an external DAC an plugged it into a few different speakers and amps. 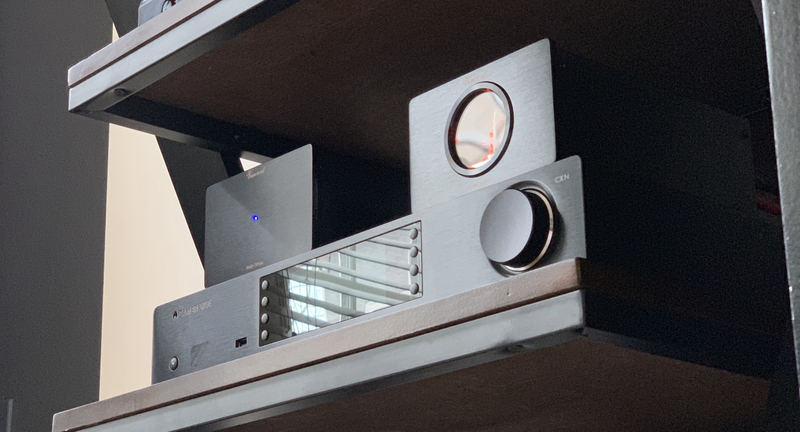 The DAC can be bested, but it holds it own for quite a bit, and when you're moving to an external DAC, it transfers the music perfectly without any noise being carried with it. At home I've only been using Spotify Connect so far. I'll doing a Tidal trial soon, but I want to make sure I have plenty of time at home with it before I dive into that. The biggest surprise to me was how easy the set up was. I don't know why I thought it would be difficult, but it really was a breeze and took minutes. I spent much longer rearranging wires and getting it into the rack than I spent on getting it up and running. Assuming you are using the analog outs, let us know how those dual Wolfsons sound after they get some more time on them. Nice this might be my next purchase while I am at Apoxana this spring I will be looking at all the vendors offering streamers. Enjoy your new Cambridge. I have been very happy with it now for about half a year. DAC’s are almost as good (really probably as good) as the PS A stellar pre. App crashes and no Tidal Masters support are my only gripes. And they are very small gripes compared to the pluses. Can you elaborate on the app crashes? As far as MQA goes, that's the last thing I look for in a DAC. I want hardware that sounds good, not gear that chases a file type. Opening it back up after playing something and then say answering a phone call or switching apps. When coming back to the CA app it will crash. It also crashes when opening up for the first time rarely. As far as MQA goes, there is built in support for Tidal on this unit, it’s advertised as such. It would make sense to me that a company would offer the services of its built in partner in their entirety, not just hifi streaming. Bluesound and some others do, not sure what CA does not. Regardless of how you feel about the format, and what tech is needed to “unfold” it’s just how I feel about the matter. Frankly, I consider it a bonus that they aren't natively supporting MQA in the box. MQA is nothing more than a marketing gimmick and form of proprietary DRM, designed with one goal: to line the pockets of already rich executives. The more companies that drop MQA or never choose to pay in to it's licensing fees, the better. Hopefully it'll eventually go away completely and we'll never have to talk about it again. It supports up to 192 but doesn't do MQA. It unfolds it the way it knows how. I have tried two 384 files and neither the CXN or 851N was able to play it. It makes sense given the limitation. Just because it doesn't say MQA doesn't mean you aren't getting the higher bitrate. What router are you using? I've had zero issues so far multitasking on my phone. Maybe it’s mine but give it time as you have only had it a day or so. You may or may not have those issues but I have read on other sites people had some crashes too. Not a big deal as I have said before. Just not flawless. I’ll talk about MQA as long as it bothers you. I'll let you guys know if I get any app crashes on my Samsung Galaxy S8. The issue with most app failures and crashes is network driven, not app driven. This is true with AURALiC, Lumin, and I highly suspect with Cambridge as well. To elaborate, these apps are very sensitive to your network - more sensitive than your streaming devices or computers. I had similar issues frequently but have had none since upgrading my network router. This is a common issue and the hardest thing to convince clients of. It could also be individual phone specific. Way too many variables. When this issue arises it is usually universal across all devices.